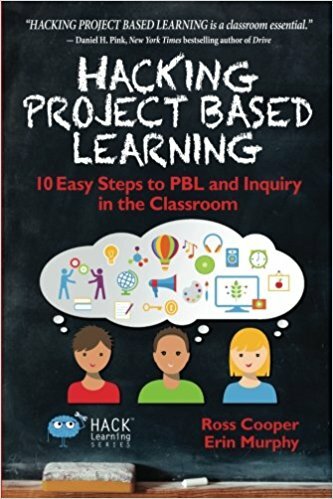 Hacking Project-Based Learning: 10 Easy Steps to PBL and Inquiry in the Classroom by Ross Cooper and Erin Murphy is a must read for any teacher interested in this mode of teaching. Their ten hacks provide a path for more student-centered learning in any classroom. Be sure to get some copies for teachers you know. Project-Based Learning (PBL) is messy. The authors have done everything in their power here to de-clutter and tidy up the mess to make it as approachable as possible. PBL may not happen overnight in you classroom or school, but it won’t happen if you don’t get started. Ross and Erin started doing PBL as teachers and now support it as administrators. They will help you set the stage for students to thrive in a culture of inquiry and creativity with these ten hacks. Keys are to make student work public and for them to reflect on their work. The role of feedback is also vital. Schools are designed to fill kid’s heads with information. Student questioning diminishes. The assembly line is populated by robots. We need students who can think and solve problems. They need to be driven by their curiosities. Teachers need to do what they can to bring in materials from garage sales or anywhere. They should post failed ideas. They also need to develop relationships. Make sure that things are designed for student learning rather than teacher convenience. The walls should contain student work. Bring in the real world. Starting group work without first teaching collaboration skills is a mistake. Working with others requires dialog and productive struggle. Students should know this. They should understand that collaboration is working with others in order to achieve or do something. A good way to teach collaboration is to search the Internet for collaborative experiences. Look for discussion skills, body language, transitions, and organization strategies. Students can also visit other classrooms and watch collaboration in action. A big focus should be on the idea that it’s possible to not like someone else’s idea without disliking the person. After early collaboration activities, students should debrief and discuss what went well and what didn’t. 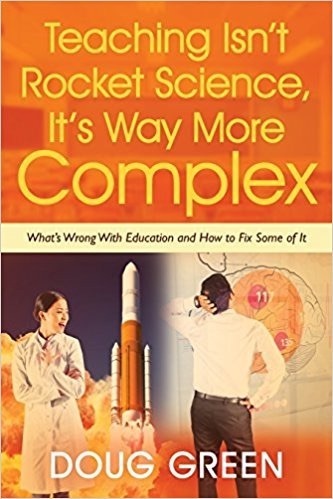 This entry was posted on Wednesday, October 3rd, 2018 at 8:00 am	and is filed under Book Summaries, Education Books, Leadership Books. You can follow any responses to this entry through the RSS 2.0 feed. You can leave a response, or trackback from your own site.